It’s harvest time in our area and the abundance of tomatoes is overwhelming. (I’m not complaining!) Here are some suggestions for making use of every last tomato. 1. Spaghetti sauce– I make it easy on myself and puree the tomatoes in the food processor (Skins, seeds, and all), cook down until almost cut in half, and can in hot jars. I like to add seasonings when I open it and am ready to use so that my recipes are customizable. 2. Pizza sauce- Add garlic, basil, oregano, salt, and honey or sugar to the tomato puree. 3. BBQ sauce– Add dark brown sugar, honey, garlic, puree green peppers and onions, splash of vinegar, paprika, chili powder, salt, and cayenne and black pepper to taste. 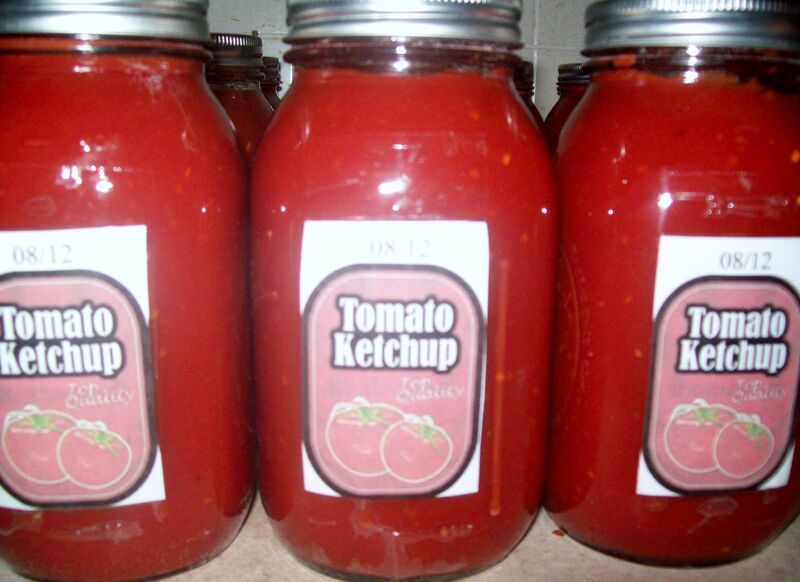 4. ketchup- Add vinegar, white sugar or agave, garlic, and optional salt. 5. French dressing- Cook tomato puree way down until pasty. Add equal amounts of red wine vinegar and olive oil. Add salt, garlic, and onion powder. Refrigerate. Do not can. 6. Salsa- Course chop tomatoes with onion, peppers, cilantro, lime juice, and whatever suits you! 7. Tomato soup– Cook chopped tomatoes, red peppers, celery, onion, and a couple of carrots in large stock pot. Allow mixture to cool a bit and puree’ in food processor. Return to pot and cook down by half. Add salt, pepper, garlic, oregano, sugar or agave, and cayenne pepper. When ready to open jars, add a splash of milk or cream. 8. Fried green tomatoes- Slice, bread and fry! 9. Pickled tomatoes- Give meaty tomatoes a boiling water bath to remove skins. Add vinegar, sugar, and pickling spices. 10. Tomato preserves- Add sugar, lime, ginger, cinnamon, salt, chili flakes, and small pinch of cloves. Simmer to reduce by half. 11. Sun-dried tomatoes– Use small Roma or cherry tomatoes. Cut in half with cut side facing up. 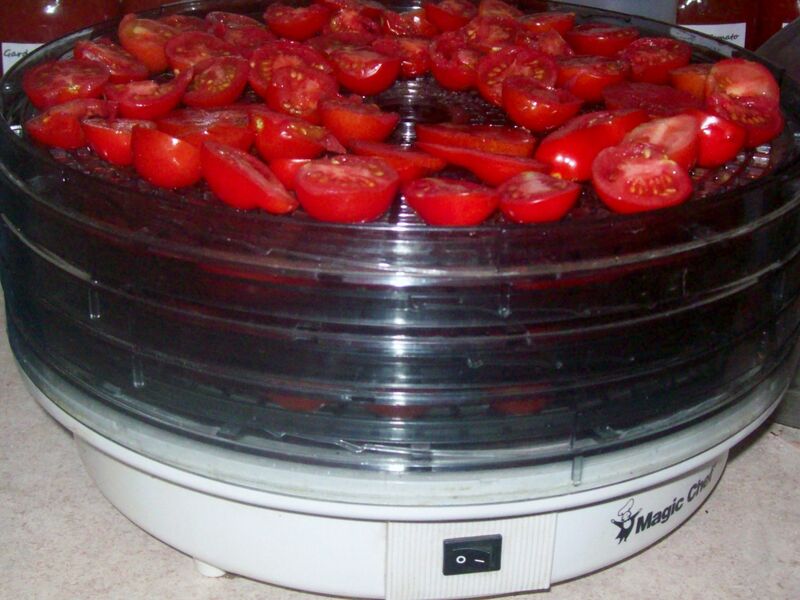 I use my dehydrator. I know it’s cheating but critters always seem to get into them when drying outside. Sprinkle with salt and dehydrate for 8-10 hours. 12. Tomato powder- Dehydrate until crispy and no longer pliable at all. Powderize in food processor. Use to add flavor and nutrition to soups, stews, and casseroles. 13. Freeze whole- Place flat on a cookie sheet lined with parchment or wax paper and freeze solid. Bag them up in freezer safe zip-locks. 14. Stewed tomatoes- Give a boiling water bath to slide skins off. Place in canning jar and fill with water. Process 35 minutes. 15. Tomato paste- Cook tomato puree’ way down until pasty and thick. Freeze in ice-cube trays for adding to meals when needed. 16. 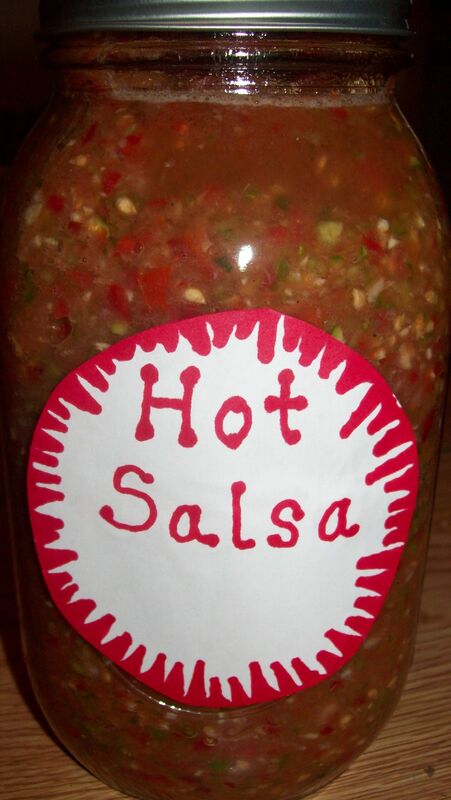 Hot sauce- Cook a variety of peppers and tomatoes together and puree. Cook down to desired thickness and can. 18. Chili sauce- Follow ketchup recipe, adding more chili powder. 19. Taco sauce- Follow ketchup recipe cutting the vinegar out and adding puree red bell peppers and red jalapeno. 20. 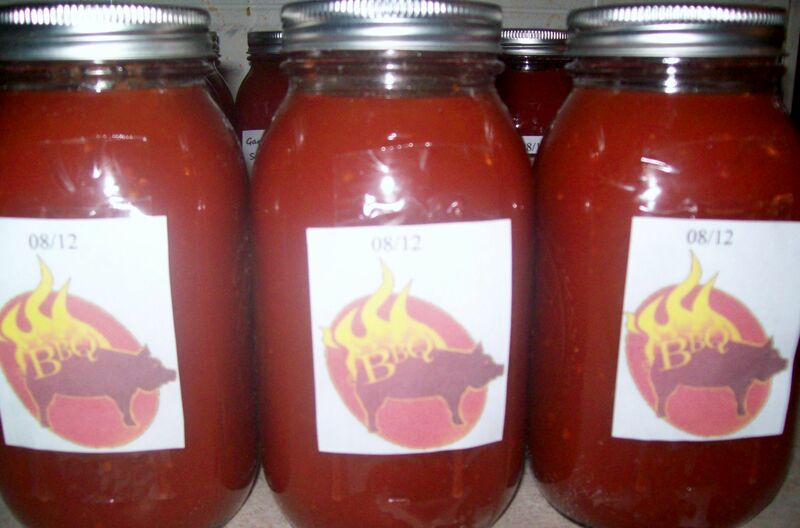 Tomato relish- Follow preserves recipe omitting the lime and cloves and keeping in larger chunks. Add chopped red onion. 21. Tomato butter- Puree’ smooth and cook down with light brown sugar and cinnamon. 22. 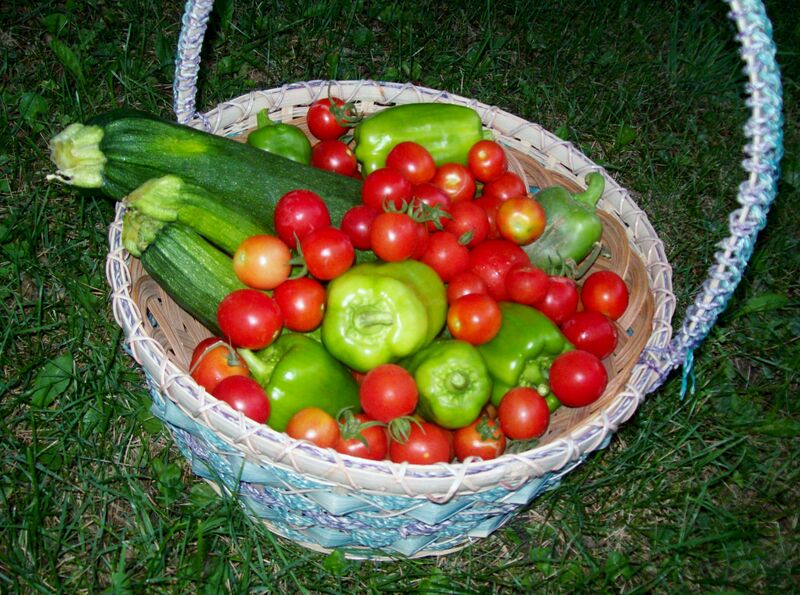 Food pantry- A pantry will always be grateful for your fresh produce! 23. Produce exchange- You can find these mostly at churches. I have been trading tomatoes for zucchini since mine are not ripe yet! 24. Peak eating- Eat as many fresh as you can while the getting is good! 25. Tomato ice cream- Tomatoes, cream, sugar, and orange liquor. I have not tried it but I hear it’s really good! Tips: Add a few squirts of lemon juice to your tomato products before you put the lid on. It will ensure good preservation and will keep a nice red color. If using a hot water canner, be sure and process tomato products at least 35 minutes and cover the jar completely with water. It is not recommended to can products with oil in them. Apparently it can be a breeding ground for bacteria and even botulism spores! Invest in some good canning utensils. I love my magnet wand for fishing the caps and lids our of the boiling water after disinfecting. Use only good quality freezer bags. It’s worth it to not have your products ruined by freezer burn. What will you do with your abundant tomato harvest this year? 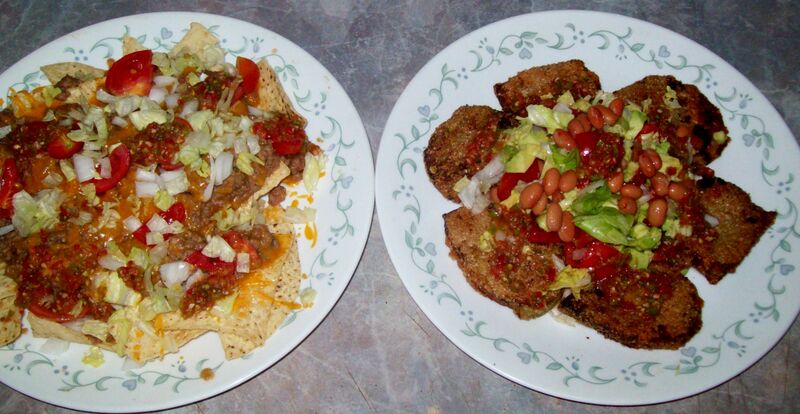 Posted by Createityourself on August 11, 2012 in Cooking and Baking, Plants and Gardening, Saving Money and tagged bbq sauce, canning, extra tomatoes, freezing tomatoes, green tomatoes, making ketchup, sun-dried tomatoes, tomato ice cream, tomatoes. Wow, this is so much great information! We’ll see if I get an abundance. They seem to be coming in at a pace that we can eat and share fresh with neighbors. It would be so nice to have some of these tomatoes in winter! Do you grow them year round in California? How cold is it in Jan and Feb.? I mentioned this on # 24… peak eating as many fresh while the getting is good! Thanks for commenting and I agree that it’s the best way of all! I’ve always believed that fresh tomatoes taste like summer! The tomato butter sounds wonderful! 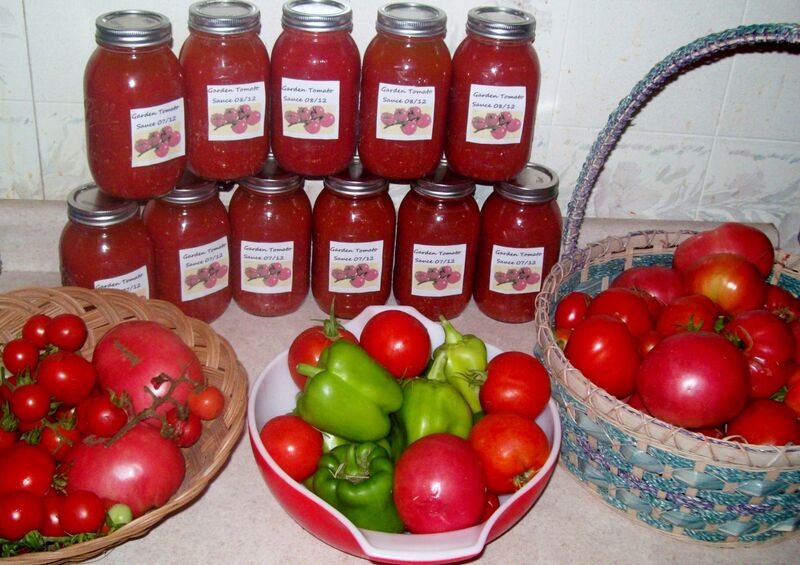 I want to do some form of tomato jam this year, and adding brown sugar is a great idea. This will be my first year of trying it out. I’m not sure what type of bread it would be good on. Maybe cinnamon raison? I love tomatoes. You are a busy bee. Lots of great ideas. I can’t wait to make the ketchup myself. Also, never thought of T butter. THANK YOU! I think I do need to get some decent canning equipment after what happened to my jam recently. I won’t have enough tomatoes to do anything exciting this year but good to have all these ideas in one place! Thanks. i wish the printer worked so i would have a copy !! i guess for now i will just save in a file,love this post! I see I commented on this page 2 years ago. I just finished (with a little help) canning 6 quarts of tomatoes. I’ll be able to use these to make some of the above as I feel like it. Thanks for stopping into Late Bloomer!